Norway to ban full-face veils in schools – Royal Times of Nigeria. Norway is set to ban face-covering Muslim veils in kindergartens, schools and universities, the government said on Monday. 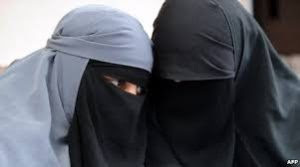 Norway, the latest European nation to propose restrictions on wearing burqas and niqabs would join the likes of France, the Netherlands, Belgium, Bulgaria and the German state of Bavaria who have all imposed restrictions on wearing full-face veils in public places. Norway’s government said it was confident it would find opposition support for the move. Education Minister Torbjoern Roe Isaksen told Reuters; “We have every reason to believe this will be approved by parliament,”. “Employees who insist on wearing a veil would risk losing their jobs, and students could face expulsion from university”.